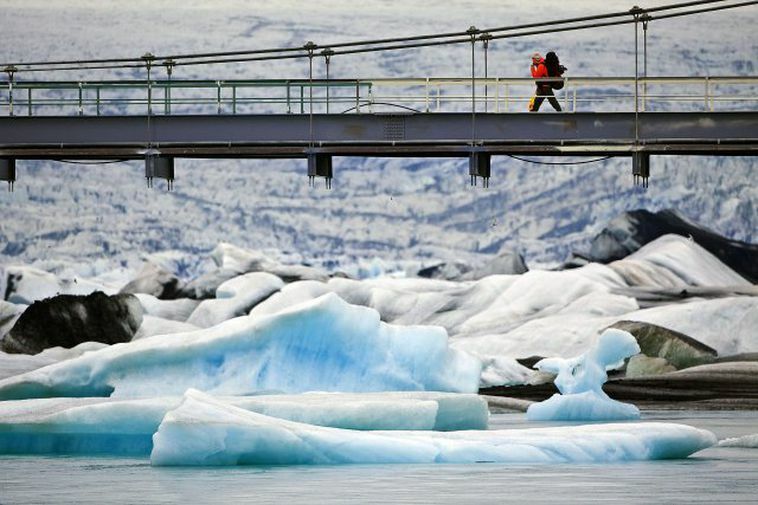 Guide Pétur Eggerz witnessed a tourist walking along a rope on the bridge at Jökulsárlón glacial lagoon in South Iceland. Speaking to mbl.is, Eggerz says that the man had climbed high up and was simply walking back and forth. "I expect this was some kind of sport for him. When people tried to talk to him I heard he just jumped into a car and drove off." The number plate of the car was noted by witnesses who have notified police. Eggerz took the following video of the man which can be seen here below.